Setting the tone in your classroom is vital for a successful school year. As the teacher, you want to clearly communicate your expectations for how your students should behave. Many classrooms are focused on outward behavior modification. But as a Christian teacher, I was always concerned about heart transformation. 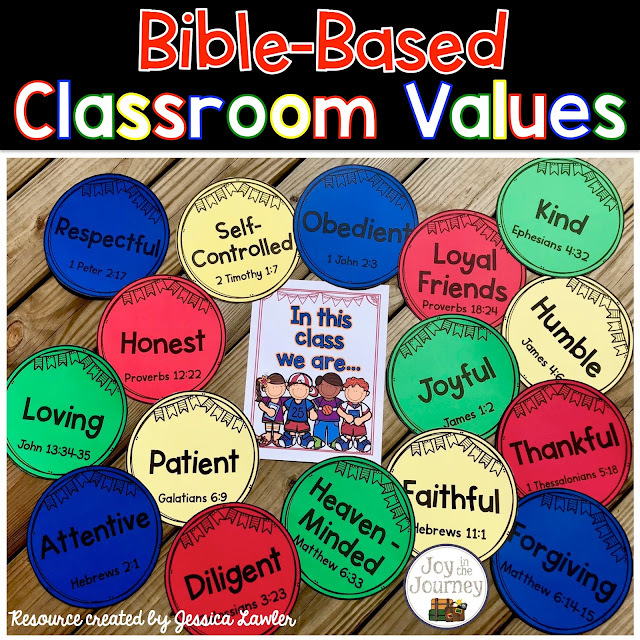 One thing I created to cultivate a biblical classroom community was these Classroom Value cards. 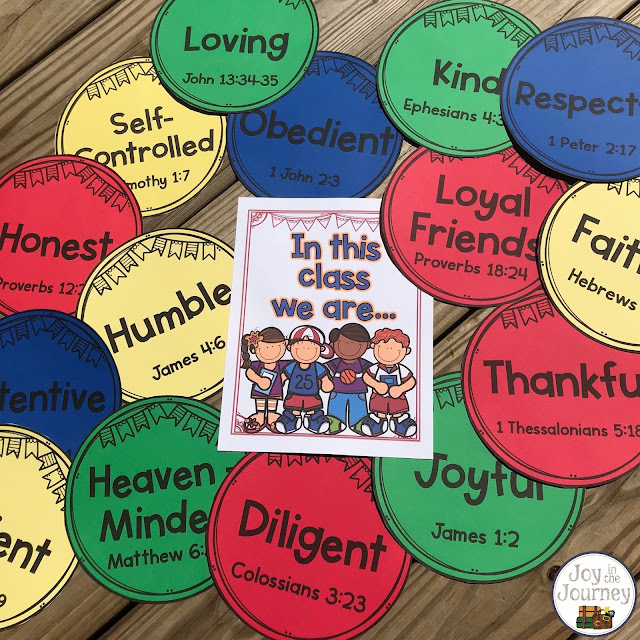 More than just a cute display, these cards serve an important purpose in encouraging our students to develop godly character. Display these on your wall and discuss what each character trait means. Have your students give practical examples of what it looks like to live these character traits out on a daily basis. 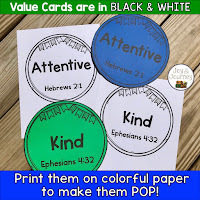 Divide your students into groups and have them look up the Bible references that correspond with each value. 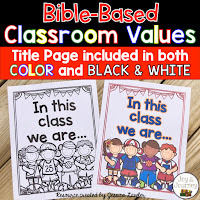 Give each student a copy of the Bible-Based Classroom Values >At a Glance< printable and have them sign it as a pledge that they will seek to demonstrate these biblical character traits. Give out awards each month (or quarter or year) to students who have demonstrated the different values. This resource is provided in black and white to save ink. Have your students color the pages or print on colorful paper to make the display POP!